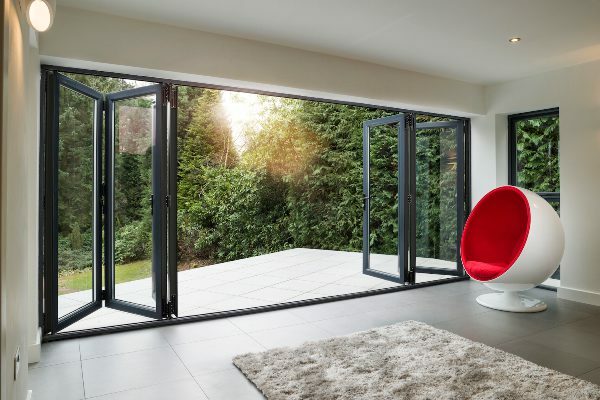 When you are looking for access into your garden whilst allowing floods of natural sunlight into your home, then it can quite difficult to choose between French doors and Aluminium sliding doors. 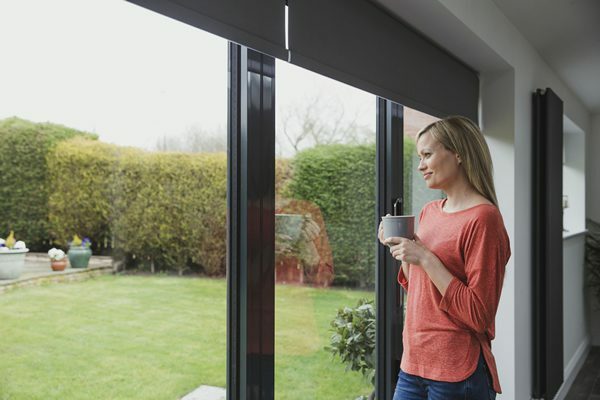 If you have a large opening already whether you require a replacement patio door or opting for a change such as French doors or aluminium sliding doors, then to decide which would be best will depend on your individual taste. Patio doors corporate two doors which one slides past the other, allowing a large opening for fresh air into your room whilst offering a large quantity of light via the large glass area. One downfall for these Patio doors, only one door can be opened at one time. But as a great positive, patio doors slide past one another, therefore don’t take up any additional space within a room. Patio doors substitutes are available in various styles such as: bi-folding, sliding, or French doors. The most popular choice is either the French doors or Bi-folding doors. So to help you decide which door option to go for, we have writing this blog to illustrate the differences. French doors are sometimes known as hinged patio doors, having two doors which open from the centre. These doors are often fitted to open outwards providing unrestricted access into your room. These doors open and close via hinges in a swing motion (like a standard house door). They also provide the option for a single door to be opened for access or both doors to allow maximum ventilation. French doors are normally situated to the rear of a building, or within a conservatory room. These doors offer pure elegance and charm to any home, whilst offering additional benefits of natural sunlight to fill a room. When it comes to the French door design, they generate a more of a traditional feel, but will easily suit any modern home as well. One of the great advantages of French doors, is that both doors can be easily open at once to allow adequate space to move furniture in to your home, which a standard front door or back door would not. One of the key differences between the French doors and the patio doors is the thickness of the lower rail. The French doors have a rail which is equal to the upper rail, whilst the patio door rail is much wider on the bottom, this allows the doors to slide past one another. French doors traditionally had either Georgian bars or astragal bars built in, proving that traditional look, whilst patio doors are normally plain glass. The French doors were originally developed way back in the 17th century, designed to maximise light into poorly lit homes. They were deliberated like a window but with larger glass to extend the full length of the door. 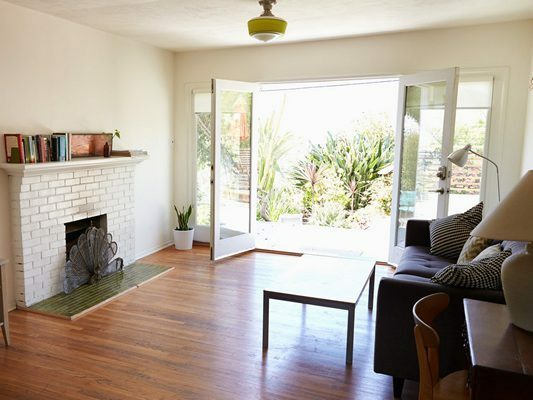 French doors are very much like patio doors, but with a more attractive appeal in design. French doors are available in various styles such as: French in-swing, French outswing and French sliding doors (very much like a patio door). Astragal bars and Georgian bars can also be added for a more Edwardian appearance. Aluminium sliding doors are much different in appearance to French doors as they are structured with large panes of glass held in place by slim sightlines. These doors are made up with various door solutions. Aluminium bi-folding doors are the neater form of large glass entry door on the market. They are often made up with three or five doors which slide alone a glide in a concertina effect. These aluminium doors slide outwards along a fixed panel providing unrestricted access into a room. With the option of a fixed door (screen door), this allows entry via this single aluminium door whilst the remaining doors endure closed. This will allow you to enjoy the outside breeze without needing to open all doors. Another benefit is how smooth these doors open, providing a huge unrestricted view for the family to appreciate. Even an elderly or disabled person can easily slip the internal lock upwards, then smoothly slide these doors to the full opening position. There are no hinges for those fingers to be trapped or doors to be slammed. 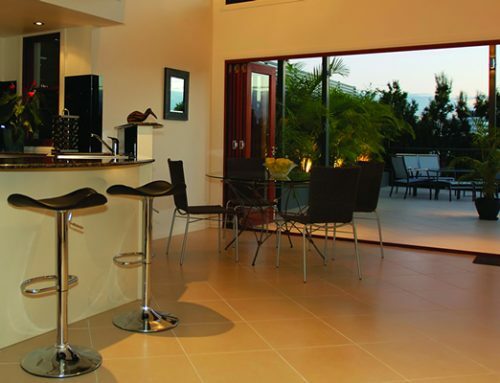 Aluminium bi-folding doors are ideal for those who require maximum amount of glass over a wall area. Bi-fold doors are one of the only option when it comes to really large openings. 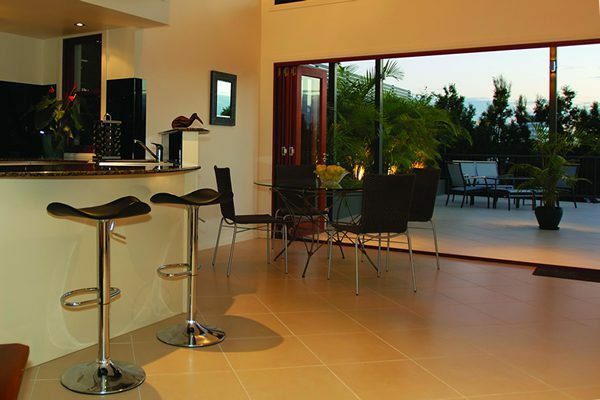 When it comes to large glass areas, then aluminium bi-folding doors are second to none. French doors and uPVC bi-folding doors have much thicker frame than aluminium. Especially on French doors as both doors meet within the centre. When these striking aluminium bi-folding doors are being opened, you will not require any additional space to allow these doors to open, as they slide into one another. So when it comes to space efficiency, then choose the bi-folding doors. 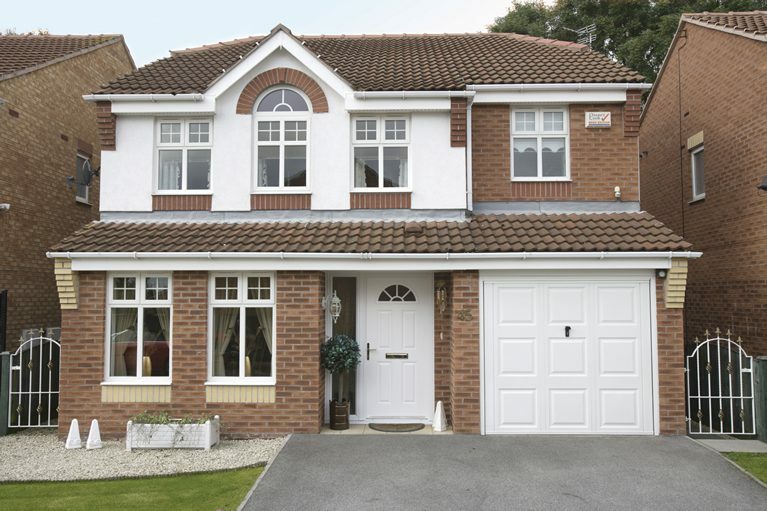 When chosen between uPVC or aluminium, aluminium offers a more stylish look, whilst offering increased sightlines. 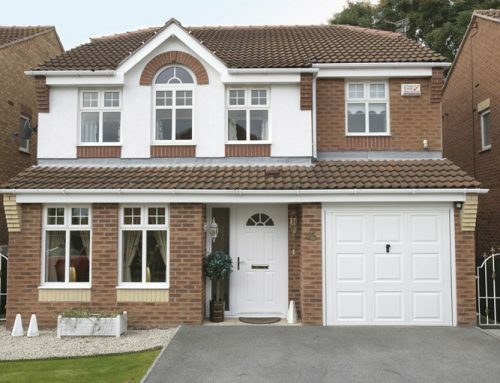 They do cost much more than the uPVC bi-folding doors, but the beauty and lifespan, out ways that additional cost. When it comes to choosing a replacement door, one of the most important factors to take into consideration apart its look, is its energy efficiency. This is even more paramount to bi-folding and French doors due to the large glass regions. As we compare these two types of doors, French doors and bi-folding doors for energy efficiency, previously French doors were notorious for heat retention compared to bi-folding doors due to the glass area. Glass is not a very good insulator for heat, as bi-folding doors offer far more glass than French doors, it’s quite obvious that French doors will win hands down, for energy efficiency. However, bi-folding doors especially aluminium, offer an extremely tight seal, much better than French doors. So with the latest technologies, it is possible to invest in A-rating double glazed bi-folding doors with advanced insulating. 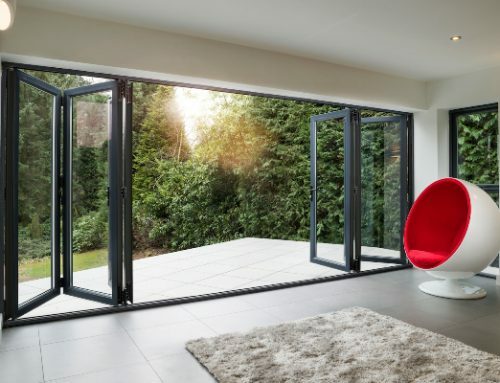 So modern aluminium bi-folding doors can be as energy efficient than its rival French doors. The security level for all doors have increased significantly over the recent few years. All of our aluminium bi-folding doors and French doors are manufactured with Yale security multi-point locking mechanisms as standard. They use innervated technologies combined with vigorous materials, ensuring that both French doors and aluminium bi-folding doors are burglar resistant. We also offer additional upgrades on all locking systems ensuring that you will not only feel comfortable within your home, but safe and secure! All of our locking systems exceed British Standard (BS) Kitemark PAS 24-1 to ensure optimum security. When purchasing replacement doors, cost plays a considerable part when chosen between a French door and Bi-folding door. The basic price for a French door is between £1000 to £1500 depending on size and décor. However, bi-folding doors start from nearly double this price which can easily be understood as they offer much more surface area and glazing than the French doors. Not forgetting a much more complicated project than of French doors. When it comes to materials, uPVC is far cheaper than aluminium, which needs to be implemented into your budget consideration. One the last deciding factors between the French doors and aluminium bi-folding doors may be the aesthetics. French doors offer a thicker frame than the aluminium bi-folding doors, which means that there will be less light entering your room. 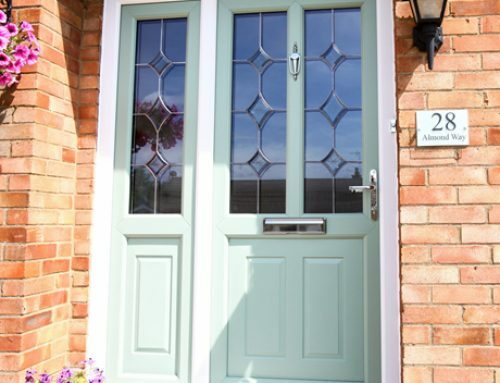 However, French doors offer that more traditional appeal ideal for older style properties. Aluminium bi-folding doors offer a much thinner sightlines offering much more sunlight, ideal for a modern home especially for those have large opening which would like to bring the outside into their home. Bi-folding doors particularly aluminium, are designed to look incredibly neat, also space efficient. When it comes to view deciding on which door offers the greatest garden view plays an important factor. Bi-folding doors are undouble the best solution as they provide a panoramic view due to their extremely large glass area. This is enhanced with aluminium compared to uPVC as the frames are ominously thinner. Even when the bi-folding doors are fully opened they provide undisturbed view. As French doors only have two openings which don’t tend to open as wide as the bi-fold doors, then this view is more restricted. 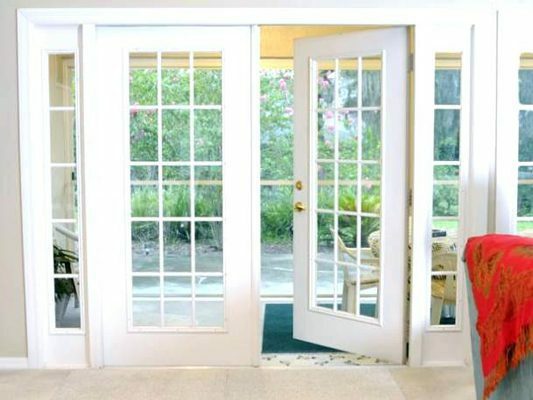 Summary – which doors are better, French doors or Bi-folding? French doors and bi-folding doors are equally as good depending on both your preferences and circumstances and budget. Aluminium bi-folding doors as long as you can accommodate the wide opening, will always be the better option. Especially when looking for space efficiency and additional light requirements. Nevertheless, when purchasing for a more traditional design then the French doors maybe the better option. 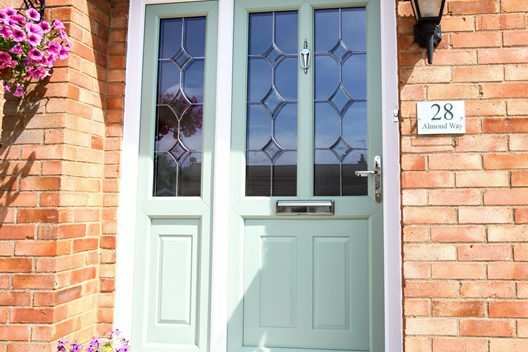 If you are still struggling to decide, or whether you are looking to purchase a replacement door, then please don’t hesitate in contact us for help.